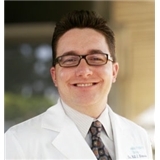 Bill Metaxas, DPM - San Mateo Podiatry Group (Burlingame) - Book Appointment Online! Dr. Metaxas is a Podiatric Physician in private practice in Burlingame, CA, specializing in surgical care of the foot and ankle, with an emphasis in reconstructive foot and ankle surgery and deformity planning and correction. Dr. Metaxas is an Associate of the American College of Foot and Ankle Surgeons. Dr. Bill was awesome! Extremely friendly (and obviously knowledgable), I would recommend him to anyone seeking a podiatrist. I didn't feel rushed at all during my appointment, and he took the time to answer some of my additional questions about another foot problem as well.